IT is common knowledge that “land matters” is within the exclusive jurisdiction of the state government. This distribution of legislative and executive powers (one portion to the federal government, another portion to the state governments and a third given concurrently to both) has been part of our way of life since Merdeka Day, when the Federal Constitution came into force. Although the Constitution has provided for the existence of a National Land Council (Article 91), with the deputy prime minister as chairman and all the state menteris besar and chief ministers as members, it does not have wide powers and functions. Clause (5) states that the council has the duty to formulate (in consultation with the federal government, the state governments and the National Finance Council) “a national policy for the promotion and control of the utilisation of land” throughout the country for “mining, agriculture, forestry and any other purpose”. In August 2004, the National Land Council had agreed at its 60th meeting to revamp and modernise our Malay Reserve Land (MRL) law, but until today nothing concrete has been achieved. The intention then was to allow Malay reserve land to be leased to non-Malays for 60 years for the purpose of development. More than a decade later, on June 11, 2015, the natural resources minister of the previous federal government informed the Dewan Rakyat that the government had postponed the tabling of the “Rang Undang-Undang Rizab Melayu (Wilayah Persekutuan) (Pindaan)” because action had already been taken under the KL City Plan 2020 to enhance the value of MRL in the Federal Territory. I remember asking a good friend and an expert on land matters soon after — how should we move forward since the federal government was no longer keen on revamping the MRL law? He replied that the initiative to modernise the law should be taken by a state government, as there is nothing in the law to stop a state authority from taking the lead in reforming any “state laws”. Since then, every time I was invited to speak on the future prospects of reforming our MRL law, I would state that since the federal government is no longer interested to do it, a state government should take the lead. Some years ago, whilst speaking at a national convention on MRL in Alor Star hosted by the Kedah state government, I made the same suggestion. Whilst it is true that any state government can take the lead in reforming the MRL law, many believe that ideally the federal government should take the initiative in drafting a new federal law, the Malay Reservation Act (MRA), under Article 76(4) of the Federal Constitution. This important provision allows Parliament to make laws “in respect of land tenure” for the purpose of ensuring “uniformity of law and policy”. When enacted, the new MRA will apply in the Federal Territories, and each state authority can then decide when the new law should be enforced in its state. If anyone is in doubt as to whether this can be done, a quick study of the preamble to the National Land Code 1965, the Strata Titles Act 1985, and the Padi Cultivators (Control of Rent and Security of Tenure) Act 1967, will give the affirmative answer. The preamble to the NLC states that “... it is desired to introduce .... a uniform land system”, whilst the preamble to the Padi Act states that “... it is expedient ...”, and likewise, the Preamble to the Strata Act states that “it is now expedient ...” to pass the respective legislation for the purpose of ensuring uniformity. A new uniform law on Malay reserve land can deal with many current and pressing issues, such as the issue of the “loss” of such land in the past. 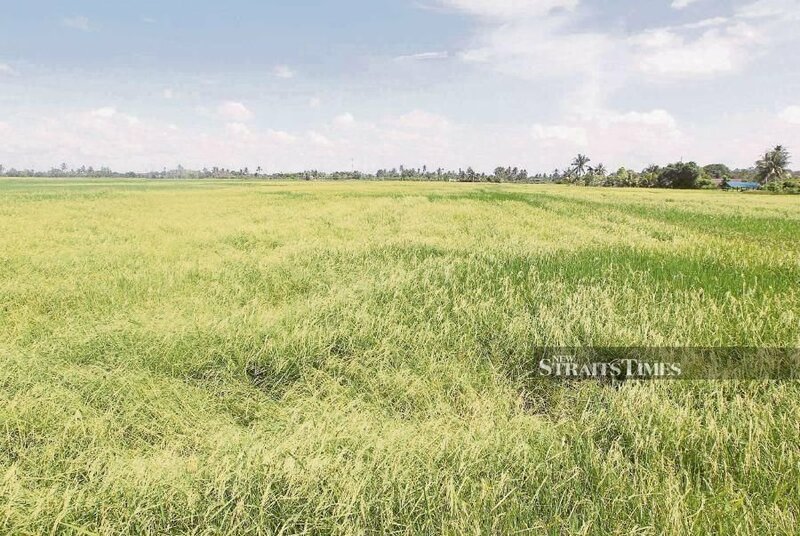 In Kedah, many padi field lands were “lost” when their Malay reserve status was revoked under section 4(b) of the state enactment, under a practice known locally as “the land swap”. When a piece of Malay reserve land is “lost” as a result of such revocation, the state authority is required under the Federal Constitution to replace them with “any other land of a similar character and of an area not exceeding the area of that land” (Article 89 Clause 3). The problem is that whilst the law requires that the “swap” be carried out, in practice it has not been done “immediately” as required under that provision. I spoke to a constitutional law expert recently on this issue. I asked him whether failure by a state authority to replace “lost” Malay reserve land as required under Article 89 of the Federal Constitution was a crime. He replied in the negative, because “no penalty has been prescribed by law”. He said the remedy should be searched “elsewhere”. In early February, the Kedah state government set up a task force to monitor and safeguard the interests and status of Malay reserve land in the state. I hope the task force can take the time to look at the law as well.